Icom is pleased to introduce the new ATEX versions of the IC-F51 and F61, conforming to the 94/9/EC ATEX Directive. 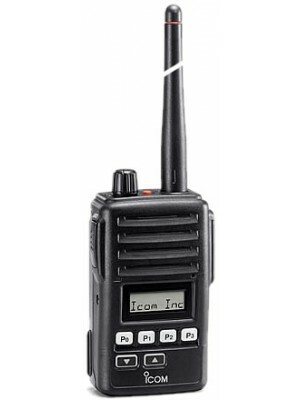 The IC-F51 series is a waterproof PMR transceiver whose construction is equivalent to IPX7 which is the same rating as our marine handheld models. In addition, built-in signalling capabilities and UT-110 compatible voice scrambler function eliminate the need for an optional logic board. The IC-F51 series meets the requirements for a tough, waterproof communications tool for use in hazardous areas such as oil rigs, areas where flammable gases or liquids are used, and other potentially explosive environments. The aluminium die-cast chassis combined with a polycarbonate casing is designed to last. Its compact dimensions of 56 (W) x&#61472; 97 (H) x&#61472; 36 (D) mm allow the IC-F51 series to fit comfortably in your palm or shirt pocket.